Nothing big going on right now, I’m busy and oftentimes it is too warm to do anything, sorry for the lack of showstoppers. At the moment I am going through my stash, looking for new projects, finding old and abandoned Ufos and long forgotten shirts I loved to death but couldn’t bear to part with, so they went into the “maybe I can use it someday”-drawer. Two items that have lived with me already quite some time: a Souvenir-handkerchief from the Swiss Museum of Transport from the 1960ies or 70ies I always thought too beautiful to use and a dark-blue velvet pillowcase that only needed one small part of a seam re-sewn. I had bought it in an antiques shop with a special shelf: grab a bag, fill it and pay 3€ for the whole, no matter how much stuff you managed to get into it. As you can imagine, only being interested in a few items led to at least one full bag in the end, you can never know when something could be useful and hey, its paid! That’s how I came into the possession of a not particularly beautiful and slightly damaged 70ies velvet pillowcase. Because the blue in the print of the hanky matched the velvet so well I thought it would be lovely to combine the two. I quickly repaired the damaged seam on the pillowcase an ironed some interfacing to the back of the handkerchief. Why this? I had some reasons: The fabric is very thin, so the dark velvet was shining through and it didn’t look white at all, second the fabric is very thin and I wanted to give it some support and third I feared the velvet’s pile could cause the thin fabric to move, this would have caused wrinkles on one side of the hanky and I wanted to avoid this risk. Oh and because it made things a lot easier. The fabric could easily be stretched and shifted in all directions (did I mention it is thin? ), supporting it with the interfacing helped a lot while sewing it onto the pillowcase by hand. Zur Zeit läuft hier leider nicht so viel. Ich habe recht viel zu tun und in der Hitze nähen macht auch keinen grossen Spass. Also sorry für die eher mageren Projekte derzeit. Momentan gehe ich ein wenig meine Bestände durch und finde neue Ideen, alte und verlassene unfertige Objekte und alte Lieblingsshirts, von denen ich mich lange nicht trennen konnte und die deshalb in die “ich finde sicher noch eine Verwendung”-Schublade wanderten. Zwei Dinge die sich schon länger mit mir eine Wohnung teilen: Ein Stofftaschentuch aus dem Verkehrshaus der Schweiz aus den 60er oder 70er Jahren welches ich immer zu hübsch fand um mein Näschen damit zu putzen und eine Kissenhülle aus blauem Samt, der lediglich ein kleines Stück defekte Naht fehlte. Diese hatte ich in einem kleinen Trödelladen mit einem speziellen Regal gefunden: eine Tüte mit Dingen aus dem Regal für 3€, egal wie viel man reingestopft hat. Ihr könnt euch vorstellen, das Interesse an wenigen Teilen führte trotzdem zu prallgefüllten Beuteln, kann ja immer nützlich sein und hey, es ist bezahlt! So kam ich in den Besitz dieser nicht unbedingt schön zu nennenden und leicht angeschlagenen 70er-Jahre Kissenhülle. Auf die Idee, diese beiden Fundstücke zu vereinen kam ich, weil das Blau in dem Druck des Taschentuchs so perfekt zum Samt passt. Also reparierte ich schnell die beschädigte Naht und bügelte Vlieseline auf die Rückseite des Taschentuchs. Warum? Aus mehreren Gründen: Der Stoff ist recht dünn und das dunkelblau schimmerte durch, was das Taschentuch ziemlich grau erscheinen liess, zweitens wollte ich den dünnen Stoff ein wenig stabilisieren und drittens hatte ich Angst, der Samtflor könnte das Taschentuch in eine Richtung schieben und damit Falten an einer Seite des Tuchs werfen, wenn dieses aufgenäht ist. Ausserdem machte die Vlieseline das Aufnähen sehr viel einfacher. Weil der Stoff so dünn ist (erwähnte ich das schon?) konnte man ihn in jede Richtung verschieben und ziehen, die Vlieseline hält ihn in der zugeschnittenen, quadratischen Form. Tja, was soll ich euch sonst noch darüber erzählen, ist ja wirklich ein sehr kleines Projekt. Aber vielleicht hat jemand von euch auch alte Stofftaschentücher rumliegen und weiss nicht wohin damit, dann nehmt das hier als kleine aber feine Upcycling-Idee. Und nein, eigentlich wohnt es nicht auf dem Tritthocker, sondern auf dem Hocker vor meiner Nähmaschine, auch wenn es langfristig einen besseren Platz finden soll, als Sitzkissen ist es mir doch ein wenig zu schade. I know this post is a little late, but I had to find some of the older pictures of this project to get it done. So I only posted a little image on facebook to officially complete the challenge in time, but of course it will get its own post. The 21st HSF-Challenge was “Re-Do”. This means, you could do just anything, as long as it matched one of the previous challenges (and I strongly believe with 20 challenges to chose from, you could really do next to everything). I think my project would best fit into the UFO&PHD-challenge (Un-Finished-Objects and Projects Half Done), but could also be related to the Tops&Toes-challenge. 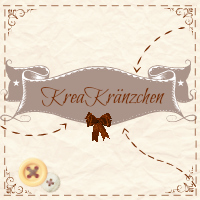 Everything started with a little discussion on Anne Elisabeth’s blog “Munich Rococo”. I was unable to find this discussion, but it has to have been in late 2012 or early 2013. I think the context was that many things, pictures and artefacts from bygone eras can only be fully understood when used. One of the examples was a footstool, these tiny little stools you can see in what feels like every second interior scene from the 18th century onwards. The question was, what for was such a footstool. To rest you feet on, that’s for sure. But why? Because the feet shouldn’t touch the ground? To protect silk slippers and stockings from hard wood planks? Those who had some re-encactment experience knew the answer quite well and with it came a second answer: why did they vanish? The answer is really so simple: To keep you warm. In rooms without central heating the floor is really cold so resting your feet on the floor would leave you with a pair of chilled bones and flesh in a very short time, leading to colds, flus and bladder infections. By resting you feet onto a little footstool, the feet were kept away from the cold surface and didn’t cool so easily. And when living, building, heating and isolating changed during the 20th century, these little helpers became dispensable. Well, I am one of the girls that is always cold. I manage to have cold hands and feet the whole year, but in winter I am simply freezing, especially when I sit down and read a book or write something. As you can imagine, I was destined to get such a footstool for myself. Cute little footstool to restore, because it was really damaged. The straps that where meant to support the whole thing and your feet on top of it were completely torn. From left to right: the black fabric you already know, the removed molleton, the whatsoever plant-like filling and the disembowelled footstool. You see the straps hanging down. The jute edge was intact and because I have no experience in upholstery I left it like that. Do you recognize what it is? These are ribbons to be cross stitch embroidered, these terrible, old-fashioned ribbons to hang on your door to repel welcome your visitors. I had these because a mother of a former friend of mine had embroidered very much back in the 80ies and gave me all the stuff she still had. They are very strong and wide enough to serve this purpose. The jute you see behind the straps comes from the same context. I didn’t want to drop the filling all over the place when using the footstool, so I added this layer to the bottom. Instead of wadding the outer fabric, I wadded the inner one. A red cotton leftover, wadded with pure wool, the one I had already used in my cape. I nailed it to the frame on one side before adding the filling. Usually you use coconut fibres to fill upholstery, but this wasn’t available in a standard hardware store. In the pet division I found an alternative: hay! you see the red fabric in the back already attached. Next step was to flap it over and attach it to the three other edges. cute as well in red, isn’t it? But back to the market stall of Tassinari et Chatel. I knew they still weave some of the old designs and they offered piles of different silk leftovers (I mean, they make interior silks for walls and upholstery, so their leftover panels could be as long as 4 metres). I was unable to find a Lasalle weaving amongst them but was very tempted to buy some other designs I had come across during my research, though they were terribly pricy. Fortunately in the end I found a basket with small leftovers, approximately 50cmx50cm-large pieces of silk. Five different pieces in a bag for 25€. One of these was to become the cover of my footstool. To me it seems like a design from the first quarter of the 19th century, unfortunately I found nothing in any museum database that comes remotely close to this design, so I can’t show you anything to compare it with. the golden bullen-nails. It is not perfect, but considering haw many holes already were in the wood I am quite content. while the old bullen-nails were placed diagonally on the corner, I placed them on both sides of them. And to show the size, it is really small. What the item is: A footstool. Bought the footstool itself for little money in a charity shop. gave it a new glaze, a new filling and a new fabric cover. Pattern: Just traced the old fabric to get the right size for the cotton layer and the right amount of filling. The silk I pinned to the cotton and cut around it. How historically accurate is it? Well, I can’t say anything about the carpentry. The jute and the ribbons I attached with staples rather than nails. Hay could be accurate, as could be the wool batting. The cotton cover is not acurate, the silk certainly is, though it was woven on a modern loom and not on a historical drawstring loom. Hours to complete: 2-3, complete with painting and everything. First worn: Stands in front of the sofa as is used when sitting on it with the laptop on my knees since last week. Total cost: Five silk scraps in a bag cost me 25€, this was a little more than half of one, so let’s say 3€. Because I bought a lot in the charity shop the day I bought the footstool the seller asked 40CHF for everything, thinking of what I bought I would say I paid around 5€ for the footstool. Bullen-Nails, glaze and nails did cost quite a bit, so let’s say 25€? I am really sorry for having disappeared from the screen without saying anything at all. It all began when someone else was chosen for a job I had so longed to get. This made me hit the ground really hard, not only because I had hoped to be the lucky one, but also because so many people had encouraged me to apply and had given me some positive signals regarding my success. Most of the weeks passed in a blur, I felt terrible, unmotivated and I have to thank my costiveness and my last bit of reason for not letting me buy my first pack of cigarettes in eight years. The second thing that was really killing me was our apartment. I had to go by train so early each day and came back so late. It was dark, gloomy and because of its size and the little time I had left in the evening it was neither comfortably tidy or clean, in the end it was really a dusty mess. It was so loud, in the few quiet moments where no train or motor truck made it impossible to hear myself think I was able to listen to every word and every step of the landlord living above us. Our cat was so bored, being not allowed to go outside and having to wait so long until we came back from work. In the evenings, when I was barely able to cook dinner, she wanted the attention she had longed for all day. She even started to scratch herself until it bled because she didn’t know what to do with herself (not unlike me, my skin looks like a mixture of a mars desert and a volcanic eruption aftermath at the moment). Now we moved last week into a much smaller appartment, but it is so bright and lovely, much more quiet and at the same time much brisker. You hear the street a little, but not a word from the other parties living in the house. If you open the window you can hear the distant humming of the motorway, but also chatting neighbours and playing children (the old house was completely isolated, only the landlord with his partner and us two). Though it is smaller, all my stuff is so much better accessible (simply because I had put everything in a locker and had closed the door back in the old flat, now I had to think about how to organize my things with less space and worked a lot with boxes and magazine files on top on shelves, so I see them). my book-shelves, a small poster I plan to hang above the flowers still needs to be framed. I have only lived here for little more than a week, but it still feels more like a home than the old apartment did after a whole year. In this first week we did all the things we had planned since moving in the other apartment a year ago, bought furniture for the balcony and a barbeque, decorated the walls with photos and pictures, I even sewed curtains. Somehow we never had the motivation to do it in this dark cave of a flat and now it is as if we cannot wait to catch up with everything. All this ill-feeling, moving and life as a whole made me forget about blogging, reading and posting. So I was welcomed by 5781 spam comments on my blog and 349 posts in my bloglovin-feed, please excuse that I won’t read them all, I am sure I will miss a lot. And please excuse that I didn’t answer your comments on my last posts, Jeannine, Jen, Draped in cloudlets, Amy and Anthea ! the chest of drawers contains UFOs, things to be repaired and the like. The old prints and textile pictures I put on the right wall on purpose, because it is protected from direct sunlight. I didn’t have much time or motivation to sew in the past few week, but I finally finished a blouse I had already started in january (you see it on my sewing mannequin). I will show it to you in a separate post. still plenty of space for more pictures^^ And while everybody else registers at pinterest I finally decided to get my own mood board. I have to confess, the title wasn’t chosen only because I feel like being home again, but because two topic related beauties also are. My Singer Featherweight went to see the sewing machine doctor for a check-up and sews like she left the factory only yesterday. And another sewing machine made its way into my collection. My father had found a 1920ies General Electrics Sewing machine in America earlier this. The seller claimed it to be the precursor of the Featherweight, the patent being bought by Singer and turned into the now iconic small sewing machine. My father bought it and had it sent to his girlfriend’s son, who lives in the States. This was all a few months ago and when he wanted to pick it up last month he had to see, that the seller had sent the wrong machine, instead of the small early 20th century GE one a heavy and complex 1970ies Bernina record 730. All attempts to contact the seller failed and because he didn’t want to throw it away, brought the Bernina with him, back to Germany. Last week my brother visited, helped me with moving and gave it to me. I haven’t had the opportunity to test it yet, but it looks great. It is signed with “made in Switzerland”, so this, too, is back home. If the man who assembled it somewhere here for the American market could have imagined that it will find its way back, some 40 years later? It has been months since I participted at Beswingtes Fräulein’s Getrödelt gefunden gefreut. First because the date always collides with the due date for the HSF-challenges and I didn’t manage to write two posts in such a short time, second because sometimes I can’t decide what to show you and plan too large posts in my head I never even start to write. And since we know that we will move again in a few months, this time into a smaller flat, I suffer from a total flea-market-ban. I already have too much things to move into the new flat, it really wouldn’t be wise to buy much more (though it is so hard!). But a few days ago when having a close look at old books and some incunable pages my favourite antiquarian bookshop had put out for me I couldn’t help dropping into a lovely antique shop just next door. The owner knows me and knows in what kind of stuff I am interested in. When I asked him if he had something for me he said no, only a pin cushion box he would assume I am interested in. But I thought being already there I could as well have a look. Unfortunately I had to tell him that it wasn’t a pin cushion at all and the sight of the pins in the already very damaged silk really hurt. But it was so lovely I had to buy it. The bottom is covered with a patterned paper I am pretty sure is not original but was added in the 2nd half of the 20th century. The inside of the lid proved my assumption it being not a pin cushion at all, but some kind of chocolate or praline box. “Au Vieux Gourmet” in Nancy, a french city appr. 300km north of Berne. I love love love this Robe de Style motif and the cute little doll the woman is holding in her hands. This may be the main reason I couldn’t pass on this one, even if it was quite expensive with 30 CHF (appr. 25€). And because this was really the only thing I bought this month I thought I could show you its little brother, another chocolate box I already bought over a year ago in another antique shop only a few metres away from the other one. Silk, again. This one in a dark red and ruffled, topped with a tambour embroidery in silk and (fake?) gold thread, a golden lace attached to the side. You see, the silk is damaged, too. The seller assumed it to be a little younger than the new one above, maybe from the 1930ies. And she gave me the hint of it being a chocolate box. The inside is a little more interesting because there is some paper lace still in place, though very torn and dirty. While the 20ies box looks great inside (but as I said, I assume it being changed later), this box doesn’t look as nice. Maybe this is the reason the seller asked only 10CHF for it (appr. 8€). I have to admit I never searched for these boxes, so 10CHF being cheap and 30CHF being more on the expensive side is a very subjective evaluation, I have no idea what these things cost elsewhere. And now you might ask how I use this box without completely destroying the paper lace (because I do use it, I try not to collect things I can’t use because I have neither enough room nor enough money to buy everything I like). Though I do already have so much boxes and old tins I really love these silk covered ones and I can’t promise that I won’t buy some more if I find some.